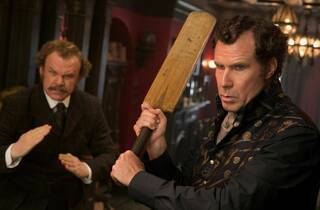 Will Ferrell and John C. Reilly reunite a decade after Step Brothers for this graceless detective romp that shows them out of touch with their usual mania. If a comedy falls in the forest and nobody laughs, did it even exist? Sony is doing its best to bury Holmes & Watson this Christmas with no pre-release critics screenings and a minimum of early word. 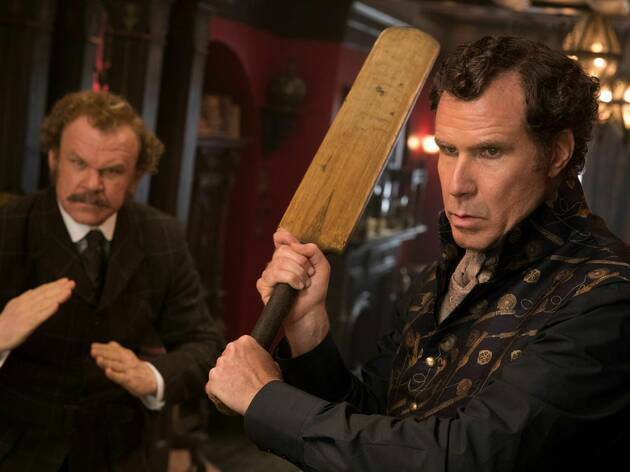 While it would be glorious to report that costars Will Ferrell and John C. Reilly have rekindled the infantile brilliance of their inspired Step Brothers, that would be lying. The duo will only benefit from us forgetting about its latest collaboration, a movie that should go to its room without any dinner. Bumbling versions of Arthur Conan Doyle’s famous sleuth and assistant weren’t high on any viewer’s wish list, least of all in a film that takes satiric jabs at the already-forgotten Robert Downey Jr. series. But that’s what Holmes & Watson reveals itself to be: an opportunity for prissy British accents (nowhere near enough shouty panic from actors who have perfected it), inept investigating and a completely charmless, laughs-free experience. Talented supporting players like Ralph Fiennes, Rebecca Hall, Rob Brydon and Kelly Macdonald fade into the scenery as Ferrell and Reilly work up a flop sweat trying to subvert Victorian decorum. (Take your pick: jokes about Holmes’s penchant for hard drugs, jokes about the hilariousness of women becoming doctors or jokes about the central pair’s repressed love for each other.) A musical number materializes out of nowhere, desperately. So does the Titanic—the actual boat, anachronistically—and even a Billy Zane cameo. By then you’ll be fully checked out. If we had to light up our pipes and scientifically deduce who the culprit was, a finger would point to screenwriter-director Etan Cohen (Get Hard), unable to excite the material into playfulness. What makes Ferrell and Reilly’s chemistry work elsewhere is our ability to see ourselves in their creations: superdumb NASCAR stars or developmentally arrested 12-year-olds. But literary detectives? That may have been a case worth leaving unsolved. This film isn't great, but if you want light, very silly comedy that you don't have to think about too much, then this might be right up your street. The writer seems to be struggling for laughs, so clings to not very funny sequences about women being doctors and Mrs Hudson's shenanigans with famous men. I have to commend Will Ferrell's English accent as I thought it was going to be terrible and the pair do work well together on screen, but even they can't save this bad script.